Thermal lining for warmth with latex coated palm for enhanced grip. Conforms to EN420, EN388, EN511. Thermogrip Gloves Small is rated 4.4 out of 5 by 27. 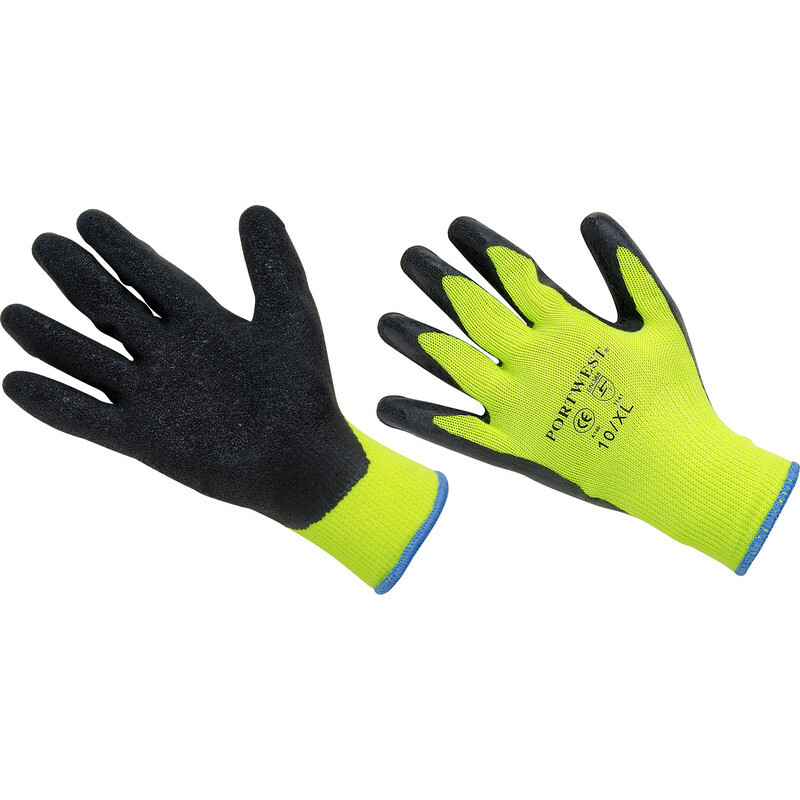 Rated 4 out of 5 by aef1 from Good fit for lady have used these gloves for gardening they are a good fit, reasonably warm and have enough feeling to do a lot of tasks. Good value, sturdy gloves. Rated 5 out of 5 by Pik999 from Great value Great value, warm and hard wearing what more can you ask for! Rated 5 out of 5 by Yiyiru from Superb gloves Really keeps ur hands warm and the grip is good as advertised. Rated 5 out of 5 by Handyman66 from Good quality gloves. I work outside in winter and these gloves keep my hands warm and dry always buy these for me and other people. Rated 4 out of 5 by Volvo from warm hands These are excellent for motorbike use, as your hands do not slip around the throttle grip. Rated 4 out of 5 by posset15 from Small means Small! Good gloves but beware of the sizing. I have small hands but these are a (very) tight fit. I shall order Medium in future.